It’s a very exciting time here at fabulous as we get ready to open our fourth designer jewellery store in SouthGate, Bath. The pink fabulous sign is up, pink walls have been freshly painted, and a team of fabulous staff are ready to say hello to our newest customers! fabulous Bath is located in the brand new SouthGate shopping development in a lively and buzzing part of the town. All the shops in the complex have opened in the past twelve months, so it’s an exciting place to be! We’re located close to Debenhams, in a newly built unit that we can’t wait to make our own. Bath itself is a lovely town, a World Heritage Site with a wonderful mix of history, architecture and culture – and, of course, lots of shops! A fabulous team has already been put together, lead by a familiar face Gill, Manager at our Leamington store. She’ll be joined by Deputy Manager Becky, Retail Supervisor Emma, and Jewellery Consultants Beth, Sarah and Francesca. Keep an eye on the Bath webpage to find out a little bit more about them – or pop in and say hello! 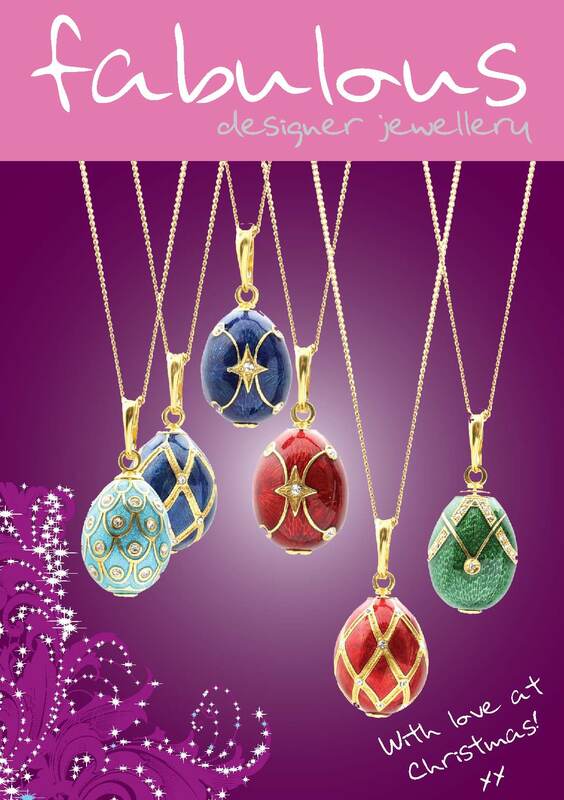 fabulous Bath will stock all our favourite designer jewellery ranges, including Antica Murrina, Linda MacDonald and Lola Rose. You’ll also be able to browse your favourite charm ranges, such as Thomas Sabo, Nomination and Trollbeads. Bath will also be a Pandora “Shop in Shop”, meaning that we’ll hold a very large selection of Pandora charms for you to choose from. We’ll also be stocking many of their gorgeous jewellery collections, including Pandora Liquid Silver jewellery and the 18ct Gold Lovepods collection, which you might have seen gracing the pages of women’s glossy magazines recently. As if that wasn’t enough, we’ll have the brand new Pandora watches, a wonderful design-your-own range which promises to be very exciting, and a new fabulous favourite! All this makes fabulous Bath a must-see for any Pandora fans, especially in the run up to Christmas. To celebrate all this wonderful stuff, we’d love to invite you to our fabulous Bath Launch Party on Friday 29th October. Not only will you get a sneak preview of the store before it opens on Saturday, but there’ll also be pink bubbly and canapés, a chance to meet the fabulous staff and time to peruse our wonderful collections. We’ll also have a special prize draw on the night! We’ve teamed up with students from Bath Spa University Fashion Department who will be desiging and making dresses especially for the launch. If that sounds like your kind of thing – and why wouldn’t it! – you can join us on Friday 29th October, 6-8pm, beginning upstairs on the balcony opposite Debenhams, and moving into the store later in the evening. It promises to be a fabulous evening, so make sure you come along! The fabulous Christmas Catalogue 2010! Welcome in the festive season with the launch of the fabulous Christmas Catalogue! On Thursday 4th November, we’ll be celebrating the approach of our favourite time of year with launch parties in our Leamington, Solihull and Milton Keynes stores, and this is your invitation to join us as an extra-special guest. Whilst enjoying delicious canapés and some pink bubbly, you’ll have an exclusive sneak preview of our brand new Christmas collections, including the sparkling elegance of our new designer Paul Costelloe, and the luxurious glamour of the Fabergé egg inspired collection from Argent of London, as well as a chance to browse our regular favourites like Pandora and Thomas Sabo. As if that wasn’t enough, there’ll also be opportunities for everyone to win a wonderful prize in the fabulous lucky dip – from fabulous gift cards to presents from our designers and much more. And after a hard night sipping bubbly and chatting with the fabulous team, we’ll also give you a goody bag to take home with you as a Christmas treat – all for free! To find out more, visit our webpage here, or join the facebook event and invite your friends along! We look forward to seeing you at your nearest store in Leamington, Solihull or Milton Keynes from 6-8pm on Thursday 4th November. New Swatch is right on-trend! 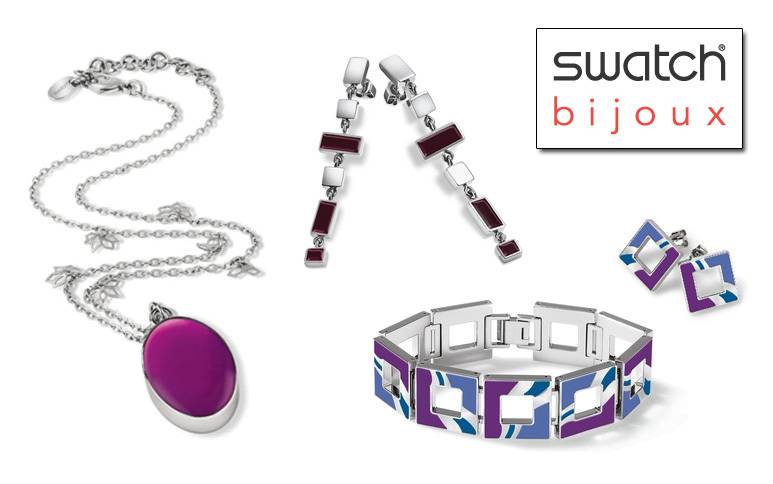 We’ve added some fantastic new pieces to our Swatch collection recently. Purple is huge in the fashion world this season, so we’re delighted to see so many lovely purple shades in the new Swatch designs. There are also some glamorous blues and greens mixed in, which are perfect for autumn parties and evenings out. Swatch consistently succeed in bringing together bold, contemporary designs with feminine style, and always throw in a touch of classic luxury! The new Maona collection mixes contemporary Stainless Steel with abstract floral themes and gorgeous, richly coloured Synthetic Resin discs. fabulous is also stocking some select pieces from the new Quadrilita range, which centres around geometric shapes. fabulous fun at Girls’ Night Out! The past two evenings have been full of fashion and fun for the fabulous team as we held our bi-annual Girls’ Night Out events in Solihull and Milton Keynes. The events were held to showcase some of our designers’ fantastic latest ranges whilst enjoying canapés, champagne and cake to celebrate the 5th birthday of fabulous! The show was hosted by Jo as she explained the inspiration and current style trends behind each of the designs worn by the models. We began with a fashion flashback to the 1920’s to show off the glamorous new Thomas Sabo collection. The long length pearl necklaces and deep colours are perfect for adding glam to the winter months and the new diamond charms add even more sparkle to this already exquisite collection. We also saw how the iconic Lola Rose collections are an ideal way of brightening up any casual outfit as the bold colours and intricate designs scream contemporary fashion. The fashion show also featured the already hugely popular American designer Chan Luu, new to the UK, some stunning new pieces from The Branch, the sophisticated new collection from Dyrberg/Kern, the absolutely fabulous range of Swarovski jewellery which is brand new to fabulous, and some fresh and funky new designs from Swatch. We all had a wonderful evening, and hope our guests did too! For more pictures, visit our Facebook page!